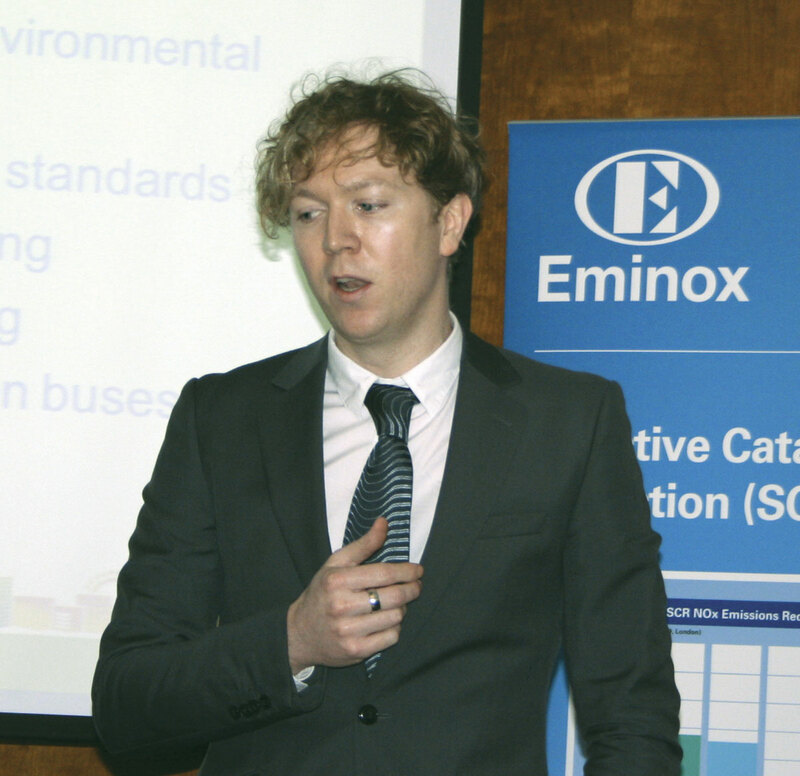 Kent County Council hosted the first Clean Bus Technology roadshow to be held by exhaust system specialist, Eminox. The event aimed to inform attendees of the importance of reducing emissions from buses and coaches, as well as the best practice in doing this. It also highlighted the new SCRT emission reduction system from Eminox, which is starting to be fitted widely across Europe. Speaking at the event were representatives from TfL, Kent County Council and Eminox. 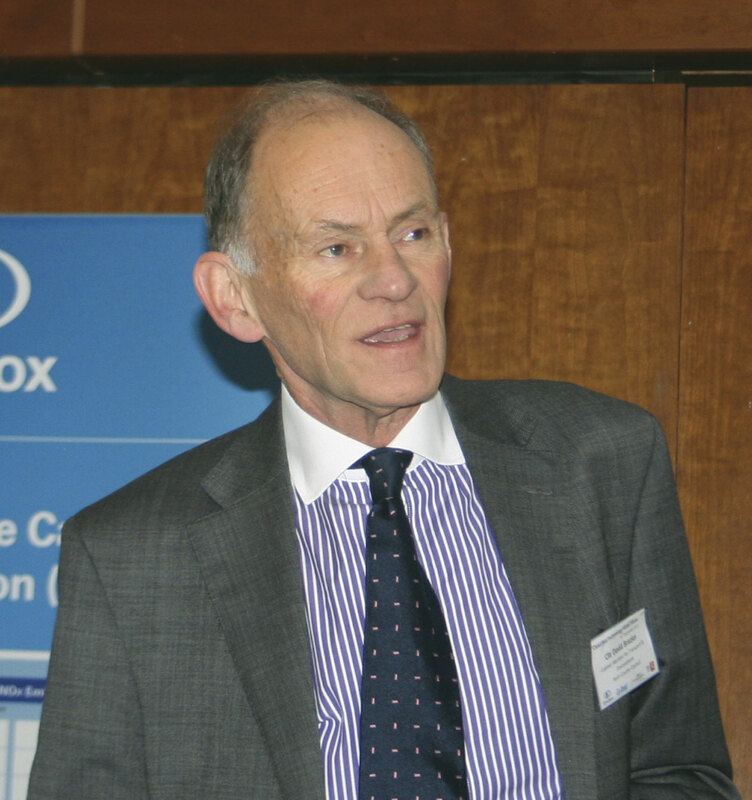 Opening the event was Cabinet Member for Transport and Environment at Kent County Council, David Brazier. In his keynote address, he claimed the only way to deal with the effects of pollutants from traffic is to work cross-sector and cross-boundary, involving companies and other organisations to achieve the goal. We can only be successful if we work pro-actively together. He highlighted the importance of working on improving air quality, citing the figure that there are 29,000 deaths per year associated with poor quality air. Completely eliminating this amount of pollution would effectively be the equivalent of eradicating passive smoking, he claims. David said Kent County Council does a lot of work to monitor and reduce its emissions, working in partnership with operators and businesses to tackle the problem. In particular, it has played its part in introducing sustainable transport, helping put hybrid buses on the region’s roads and retrofitting some of the county’s existing buses with emission reduction technology. The Council has spent £230,000 to support Arriva’s investment in 11 new hybrids. It has worked with DEFRA to fit SCR technology on another ten of the operator’s vehicles. Using a DfT grant and with further support from Tunbridge and Swale local authorities, it has helped pay for a further retrofit of 18 buses with this type of equipment. Over the past two years, it has spent £600,000 on reducing emissions. Beyond hybrids and emission reduction system retrofits, Kent County Council has invested in 49 fast charge points for electric vehicles. Eminox’s Business Development Manager, Dr Martin Ott, made a statement that highlighted the idea that air pollution is a global concern, not something that can be entirely solved by looking at a regional basis. To illustrate this, he said that research has found a small percentage of particulate matter(PM) in San Francisco has its origin in China. So even if you look locally, you have to be aware of the greater picture. 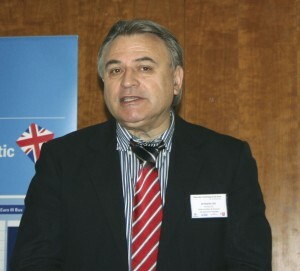 He went on to mention that this event was one of many planned across the UK into 2014. Environmental Manager at TfL, Finn Coyle, made a presentation on the London transport authority’s experience with SCRT system retrofits. He said road transport is one of the biggest contributors of harmful NOx (Nitrogen Oxide) emissions in the city with buses one of the worst offenders. The kilometres these vehicles operate in London have increased dramatically since 1990 and as such there has been a significant rise in the amount of CO2 and NOx produced. Even with the introduction of Euro5 and EEV standard vehicles, still more needed to be done, as buses in the capital were not getting the engine heat required for SCR alone. Thanks to £10m of TfL and DfT funding to combat this rise in pollutants, the capital’s buses are being fitted with SCRT (Selective Catalytic Reduction Technology) systems. 600 have been fitted with the equipment so far, with 900 to be installed by March 2014. Eminox was chosen for this project, which saw them challenged with reducing NO2 and NOx from the city’s bus exhausts by 50%. The company trialled its system on Dennis Darts and Volvo double deckers at Millbrook on the MLTB (Millbrook London Test Bus) cycle and achieved reductions in those harmful emissions of up to 88%, comfortably beating this target. Finn said TfL rolled the technology out on routes where the NO2 emissions were highest and where the cause of it could be attributed to buses. There were 187 focus areas where it was introduced, with the worst route in terms of emissions receiving the SCRT units first. One of these was Putney High Street, where the project was deemed a success. Measuring before and after the roll out, it was found that it did indeed reduce emissions by 88%. Although a high area for emissions, Heathrow was not at the top of the list, considering that a lot of the pollutants in the area are generated by the airport.